Hiking is an enjoyable sport that allows you to spend time with your kids while staying close to all that Mother Nature has to offer. 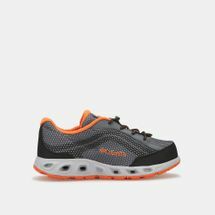 The Sun & Sand Sports online store is here to make sure that your adventure is one of a kind and your little one keeps fit and healthy with technology-enhanced hiking shoes. 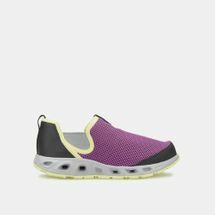 Our online store comprises of a category dedicated solely to kids where you can find a wide selections of kids’ hiking shoes and lightweight trail shoes online. Browse through the Sun & Sand Sports edit of hiking shoes and start your online shopping journey with SSS today. When it comes to selecting a pair of hiking shoes for your kids it is important to keep in mind their quality, function and durability. 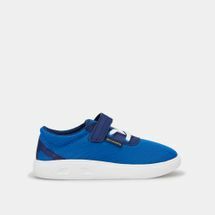 It is essential to protect your child’s feet from rough terrain and unpredictable weather conditions and at the same time maintaining a look that is both trendy and comfortable as they enjoy a great day outdoors. 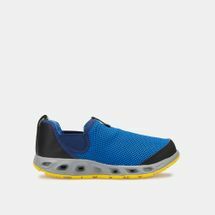 Our selection of hiking shoes online ensures just that. 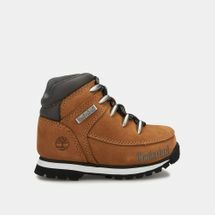 Choose a pair of ankle-length, low or high hiking boots that will cradle your child’s feet and provide them with comfortable cushioning and total support. 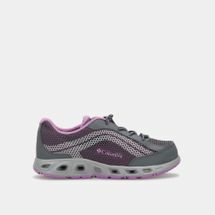 We offer a selection of kids’ hiking shoes and lightweight trail shoes online with high-quality materials providing maximum flexibility with each movement. Once you choose the hiking shoe best suited to your child’s needs, you can get your purchase delivered straight to your doorstep anywhere in Kuwait. Your choices are just a click away so embark on a journey of a lifetime with the SSS selection of kids’ hiking shoes online now.